Landlords throughout the UK will agree that the worst problem they often have to deal with is the state in which their tenants leave their properties in; which most times is an absolute mess. Those who own multiple properties whether they are domestic or business will all need professional cleaning services; we offer comprehensive cleaning services that include special end of tenancy cleaning packages. As with all of Cleaners Cleaning's cleaning services, we send crews of highly skilled cleaners out to do all the tasks on hand. What's more, we also ensure that our cleaning crews are all fully equipped with the latest cleaning equipment and products. The list of services include deep cleaning of carpets, floors and surfaces as well as kitchen surfaces, cupboards and any appliances such as ovens, stoves etc. 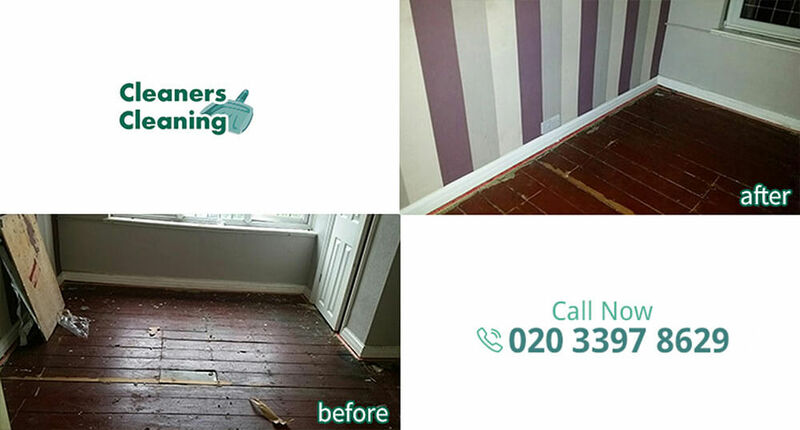 All you need do is call our helpful consultants on 020 3397 8629 and we will send a crew out to you; where and when you need us. Moreover, we are flexible with our working hours so even when you are faced with an emergency we will be the cleaning company you would want to call. Our end-of-tenancy cleaning service is designed to suit both tenants and landlords, so if you are moving home and need to secure the return of a deposit or have been handed back the keys to a property that is now uninhabitable then give us a call. We will have the property sparkling in no time at all, giving you peace of mind that no money is being lost no matter what side of the contract you sit on. A domestic cleaner is now a necessity for most working families and young professionals in East London, and our service is both affordable and quality. Our staff are all background checked so you can trust them in your home while you are at work, and this will allow you to retrieve some of your leisure time that may otherwise have been spent dusting and vacuuming. Many landlords and tenants alike, find that when looking for a new office, apartment or home, the first thing that they look for is how clean the property is; they will look at the state of the carpets; which we will clean with our in-depth carpet cleaning services; next they look at things such as appliances, here to we offer deep cleaning of stoves, ovens and any other appliances. In truth, everything that can be dusted, polished or washed is a task for our cleaners. Cupboards are likewise cleaned and every surface of the property is cleaned with our anti-bacterial products. We do not need to spend hours scrubbing areas either as the unique combination of detergents and industrial cleaning equipment all work to effortlessly and quickly strip away built-up grime and dirt. Moreover, thanks to our hi-tech end of tenancy cleaning, we will finish the cleaning chores in no time at all. This ability to efficiently and quickly complete all cleaning chores done by any of our cleaners at Cleaners Cleaning is what makes us a popular choice for any UK cleaning need. All you need do is request our experienced and professional cleaners to come out to you with one quick call to 020 3397 8629. It is the best cleaning decision you will ever make; whether you are a tenant or landlord.